The choice to build a log home is a reflection of a unique and personal lifestyle. 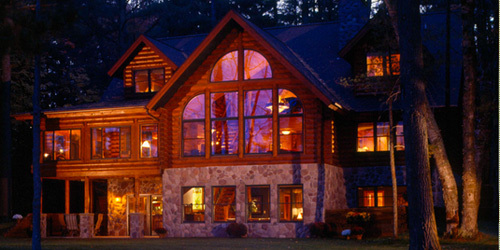 Log homes portray the true warmth, organic beauty, and long-lasting strength that Mother Nature intended. A log home will withstand the test of time, providing a true sanctuary for you and your family for generations. As an authorized Hiawatha Log Homes Dealer, we are ready to build that idyllic cabin in the woods, cottage at the lake, or secluded chalet fit for king. It's your home, your enduring legacy, and your choice. Logs for Hiawatha Log Homes are harvested in the winter when the tree is dormant. This makes for a less stressed drying environment and less overall twisting. The result are straight and true logs that provide a structurally sound home. 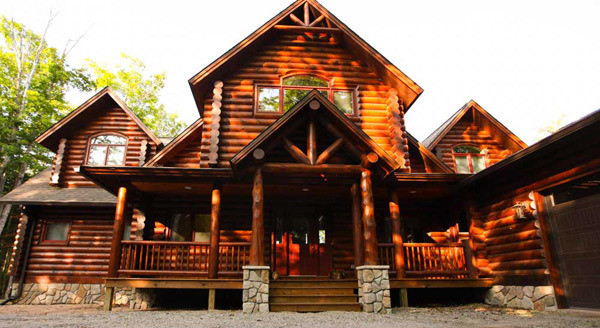 Just like a good pair of jeans or nice work boots, a great Log Home is all about fit. All of our logs are factory cut and because of the state-of the-art drying system, they fit together perfectly. Hiawatha Logs are milled with the best Bezner German-made precision mills available and are cut to perfection by a precise Archi-CAD design computer. Even our staircases are furniture grade which means there is little-to-no splintering. Using the latest CAD design, Hiawatha Log Homes can plan, design, and create your dream home. Get started designing your home today using Hiawatha Log Homes' state-of-the-art software. Browse through existing Hiawatha homes to draw inspiration and see all that log home living has to offer. Download our Hiawatha Log Homes Catalog here. 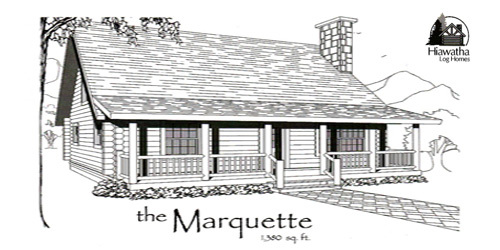 As a certified Hiawatha Log Homes Dealer, we have existing floor plans that range from 864 sq. ft. to over 3,000 sq. ft. and will accommodate any lifestyle. 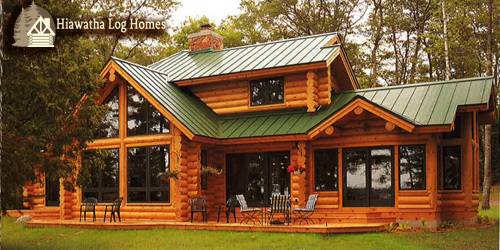 Download our Hiawatha Log Homes Floor Plan Catalog Here.